Lake Bottom is centrally located in the Midtown neighborhood of Columbus. A trail that loops around the park is well-covered with developed trees, while a track in the middle of the park gives us plenty of opportunities for variety, plus bleachers and stairs for a good sweat. There is a small parking lot on the west side of the park as well as plenty of street parking. Meet in the shaded grassy area next to the playground across from the St. Elmo shopping center, at the north end of the park. Located along the Chattahoochee River of Columbus’ downtown area, the Uptown location has it all, from hills and steps, to grassy areas, paved trails, plus the cool breeze that rolls off the river’s rapids. It is a treat to stroll through the Market Days after class on Saturdays. Park anywhere on Bay Avenue, between 10th & 11th Streets, and meet us around the Splash Pad. Located in north Columbus, this church provides us with a warm and very large gym space to go about our SLAM business. 6795 Whitesville Rd. Parking in front of gym (to the right of church) and alongside on the righthand side of gym. Stroller access is only achieved by walking down the ramp on the right side of the church. Keep Up With SLAM'n Columbus! Join SLAM Columbus on Instagram! Contact the SLAM Columbus Team! Owner of Stroller Strong Moms Columbus. Rebecca “Reba” Paull has been an ACE certified group fitness instructor since 2012. She has healthcare status CPR/AED certification through the American Heart Association. She has lived in Columbus her entire life (she loves to share Columbus’ best kept secrets with SSMs!) You will likely meet her husband, Joe, at SSM class taking photographs on occasion. Her school-aged daughters, Josie and Neena, love to come to SSM classes on holidays and summer break while her daughter, Phoebe, born in 2017, is a regular. 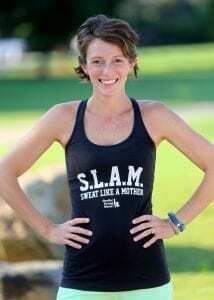 Reba’s favorite ways to sweat are at SSM class, ½ marathons, marathon training, and of course, the “Run for the Heroes: Run across Georgia. Danelle has been an AFAA/NASM Certified Group Fitness Instructor since 2013. She is CPR/AED certified through the American Heart Association BLS. She has a bachelors in Psychology/Family Studies from Samford University. She is from Boynton Beach, FL but moved to the peach state in 2010. She and husband, D.R. have 2 kids, Ryder & Campbell. 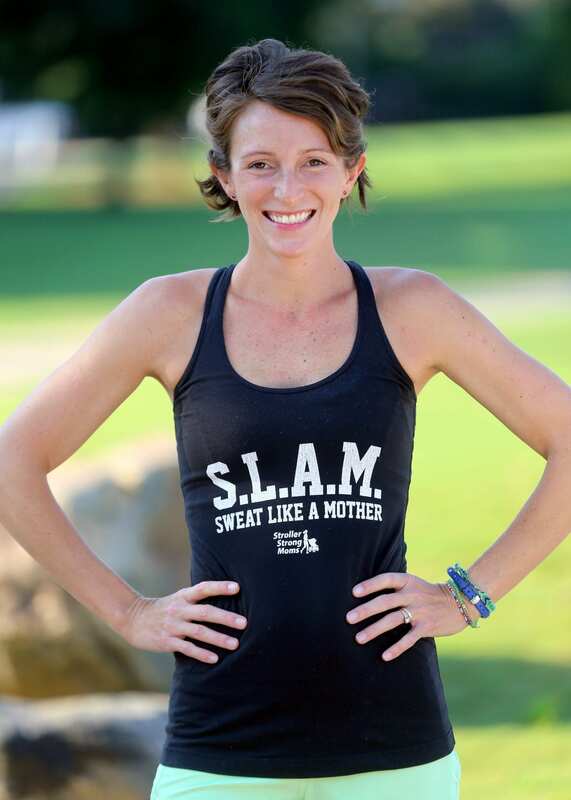 Danelle’s favorite ways to sweat are at SSM class, running, barre, and dance! 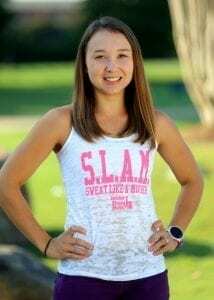 Laura is an ACE certified Group Fitness Instructor and Sports Conditioning Specialist who grew up in Philadelphia, graduated from West Virginia University in 2007, and was introduced to Stroller Strong Moms in 2014. She moved from Fort Leavenworth with her husband Colin and their two children. Soccer along with track & field created the foundation for her passion, dedication, and success in athletics and fitness. CPR/AED and First Aid certified, Laura’s favorite ways to S.L.A.M. are Functional Fitness Training and running. Jeanetta Bodie finished her 200-hour yoga certification through Yoga Inspired, a Yoga Alliance recognized teacher-training program, in May 2018. Jeanetta grew up in Columbus and after being away for ten years, moved back and met her husband, who is stationed at Ft. Benning, and they have one son, W.R. Jeanetta is passionate about supporting other moms through the healing process of regaining strength to support a healthy, movement-filled life. Her favorite way to sweat is weight-training, trail running and sneaky strength yoga. Hannah has been a member of Stroller Strong Moms since the spring of 2015. She was a member of the Fairbanks affiliate before moving to Columbus in 2017. She has been an ACE certified group fitness instructor since July of 2017. She is CPR/AED certified through the American Heart Association. Hannah and husband Dave are both from Southern Arizona. They have 2 boys, Henry and Walter, and a 3rd boy expected to arrive in March of 2019. Her favorite ways to sweat are running, HIIT workouts, and friendly competition. Kristen Ramsey has been a certified ASFA group fitness instructor since February 2017. She has a healthcare status CPR/AED certification through American Heart Association. She and her family are from Phenix City, AL. (Across the bridge from our Uptown class location) Kristen has been “sweating like a mother” since 2015 following the birth of her son Mac. She and her husband John Mark welcomed their second child in June. Her favorite ways to sweat are S.S.M. classes, long runs, and outside time with the family! Great group of ladies to get your sweat on with! So encouraging and motivating. Definitely suitable for ALL fitness levels. 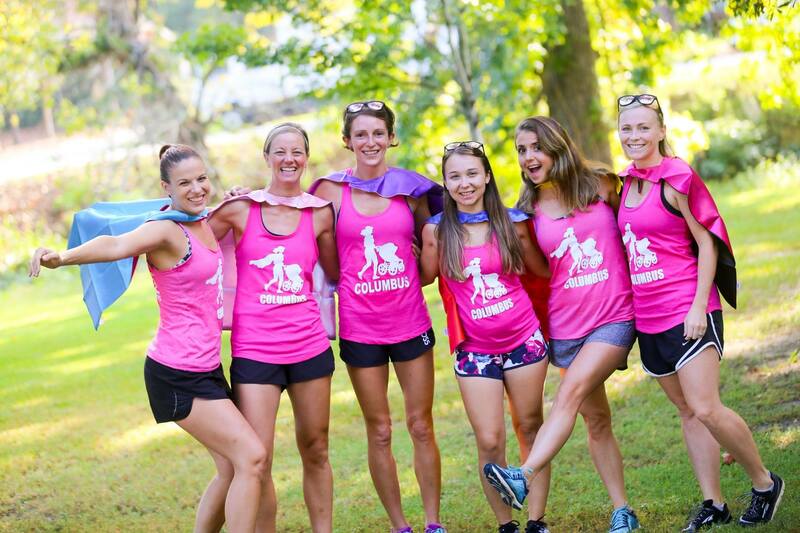 This isn’t “just a group of moms” come prepared to push yourself and build your confidence and endurance up! As a “work-from-home” mom I only have a limited amount of time for things outside the home; this couldn’t be a better compromise to getting time with other moms, socialization for my daughter, and oh yeah a stinking good workout!!! My hubby even came to a class and vouched for its legitimacy. The coaches are fabulous and remember your name just after ONE class and truly make you feel like a valued member from day one. I love it and would recommend it to everyone of every kind of shape – heck, I started the first time back when I was 32 weeks pregnant!